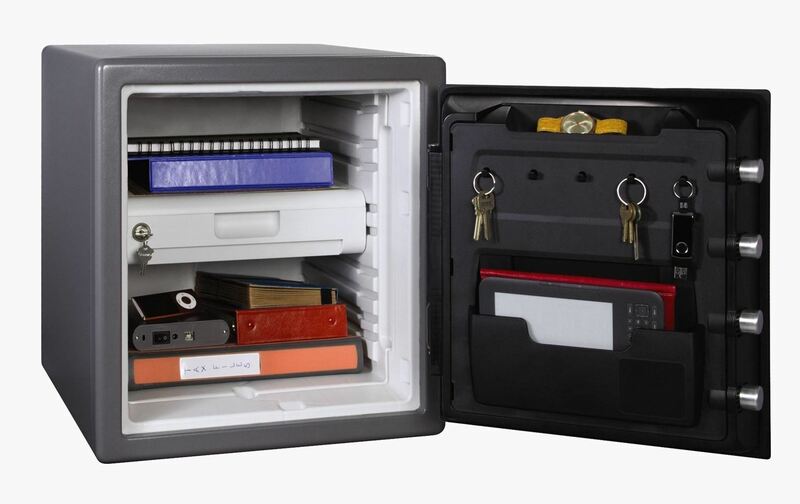 SentrySafe puts all sorts of measures in place to protect your valuables and important documents. 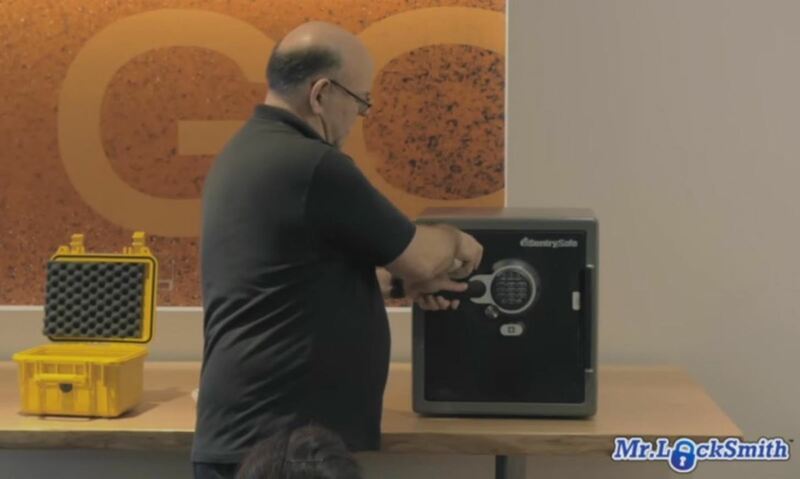 This particular SentrySafe has an electronic lock, four 1-inch bolts to keep the door firmly in place, pry-resistant hinges, and it's able to withstand drops of up to 15 feet. 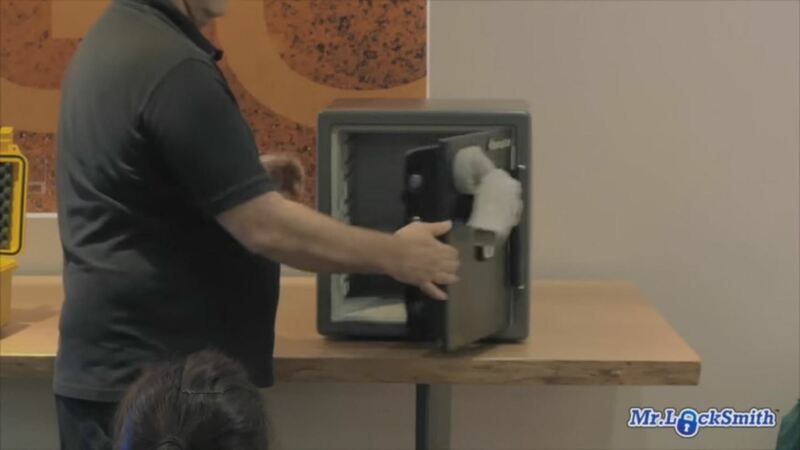 That all sounds great, until you find out that you can open this safe—and pretty much every safe like it—in a matter of seconds using only a magnet. A rare earth magnet, to be precise. Nowadays, most rare earth magnets are made of neodymium, but there still may be some from the '70s kicking around which were made of a samarium-cobalt alloy. The magnets are fairly cheap and you can pick one up on Amazon for under $20 (you can get them at Home Depot, Lowe's, and even Michael's too, but those are usually under 1 inch in diameter). Just be warned that neodymium magnets are extremely powerful, and can quickly wreck your electronics (seriously, they'll destroy and hard drive or phone almost instantly), or even lead to bodily injury or death if you're not careful. Now, watch as Mr. Locksmith gets this thing open in no time. Grab the rare earth magnet. 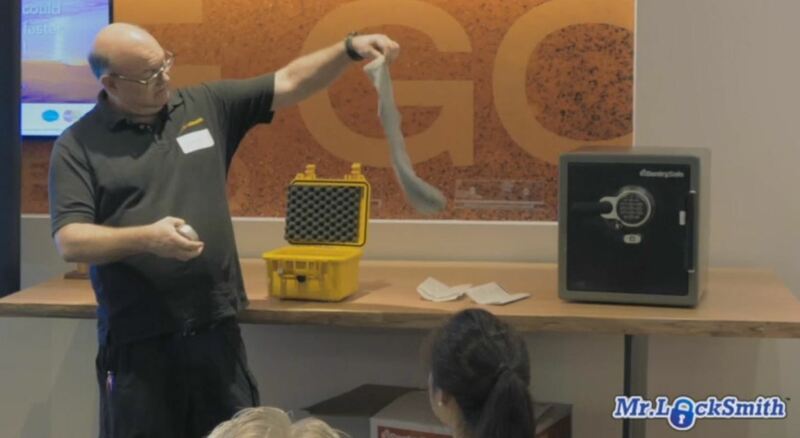 Put the rare earth magnet into the sock. Yea, this thing isn't complicated. All you have to do to open up the safe is take your trusty sock and magnet device, then attach it to the safe. Well, it's actually not quite that easy. 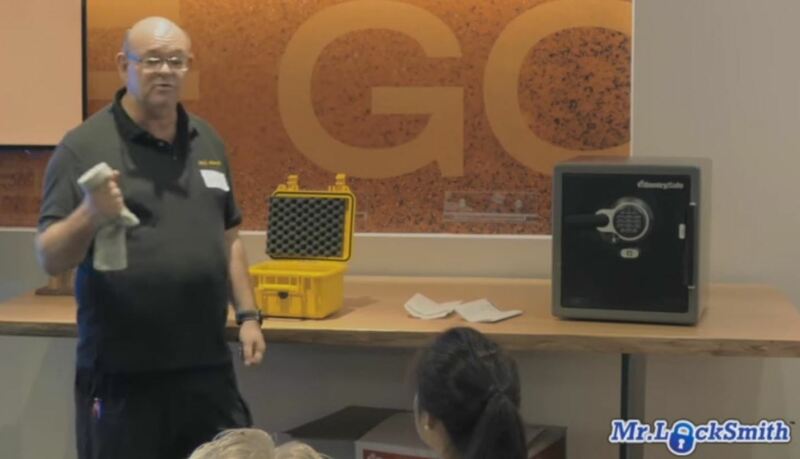 Many of these inexpensive safes use a nickel solenoid to activate the locking mechanism. So, you'll need to locate the solenoid. There isn't too much surface area to these safes, and it should be on the front door, so just slide the magnet around using the sock until you're able to open the safe. You used to have to bounce these kinds of safes around to get them open. That was simple enough, but this method is quieter and won't leave any signs of damage. Now, you might be wonder about why we need the gym sock at all. Technically, you don't, but these magnets are very strong, and the sock makes it easier to move the magnet around and detach it when you're done. If you've ever had a small neodymium magnet on your fridge, then you know what I mean. 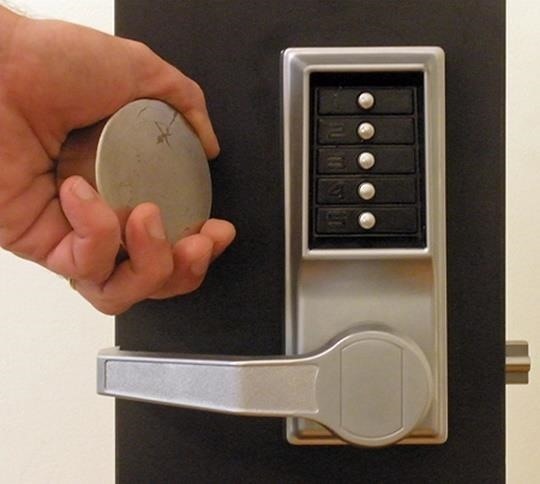 Not only does this method make it easy to bust into a safe or a standard push button lock on a door, it also won't leave any trace of intrusion, as long as you're careful. And speaking of careful, once again, neodymium magnets are extremely dangerous—we literally cannot stress this enough. They are very powerful, and can quickly do harm to you or others around you, so stay focused when you're using them. Well, that's all you need to go out and get cracking. Just don't be dumb and do something illegal. And if you decide to do something illegal, 100% of your own free will, don't be an idiot and get caught. Um… no. That is incorrect. They'll destroy magnetic media instantly. So yes, a traditional hard drive with a spinning magnetic disk inside will definitely be FUBARed. But a solid state ("flash") drive (eg: portable mini drives, thumb drives, tablets, some laptop drives) will be fine. If the drive in question has no moving parts, it'll be 100% fine. A very strong magnet might mess up the screen on some devices, though…? TBH that seems unlikely with newer devices, but it's worth a mention I guess. I know iPhones and iPads are fully magnet safe— hence all the covers and accessories that use magnets. I can't imagine it's any different for other smartphones. iMacs are also magnet safe (in fact, their screen glass is actually held in place with about 10 small-but-strong magnets; they're literally right next to the LCD and barely an inch from the hard drive and it's all good). Older devices, though? Not sure. And of course magnets— even weak ones— will ruin old floppies, Zip drives, and magnetic tape (VHS and cassette tapes). Careful with those! Actually, it's mostly correct. It is true that if you slowly place the magnet on a flash drive or a SSD and then slowly take it off, odds are the drive will be fine. HOWEVER, if you swipe the SSD by the magnet or vice versa, the magnetic field expanding and contracting will create random voltage in the drive by means of electromagnetic induction and will indeed wipe or simply fry your SSD. We have tested this many times.